The American filmmaker has established himself as one of the world’s most influential directors. In 2003, he won the Academy Award for his war documentary “The Fog of War”. The same year, the “Guardian” put him seventh in its list of the world’s 40 best active directors. Morris’ new film “The Unknown Known” investigates the causes of the Iraq War and the role of Donald Rumsfeld in that process. 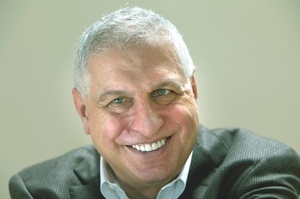 In his new movie “The Unknown Known”, American film director Errol Morris investigates the causes of the Iraq War and puts Donald Rumsfeld under interrogation. He explained to Max Tholl why he chooses understanding over judging and why his movies are political rather than politically motivated.